When we go back in time to the history of the ancient Babylonians, the Greeks and Egyptians, we learn that hypnosis has been used. Hippocrates used hypnosis. And as it takes its name from the Greek word 'Hypnos', which means 'sleep', the actual state of hypnosis is not actually REM sleep. You are not asleep. The trance state has been experienced by using many different means such as bells, drums, whistles, clapping, and dance. 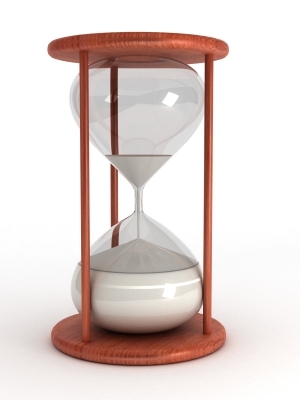 In later days the ticking of clocks was used, as well as metronomes, swinging stop watches, and swinging pendulums. In fact, some of history's most consulted books such as The Hindu Vedas and the Bible show examples of similar uses that induced a trance state. 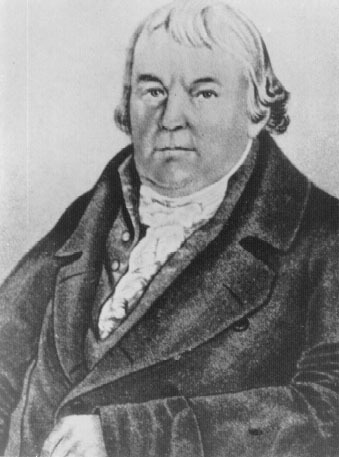 1775 The term 'mesmerism' was derived by Franz Mesmer who coined the term 'animal magnetism'. 1784 A term called 'somnambulism' which is very deep trance was coined by Count Maxime De Puysegut. 1821 France experimented with painless dentistry with the use of magnetism. This caused accelerated interest throughout France and led to Ambrose Liebeault, and a neurologist called J.M. Charcot to research and investigate this 'trance state'. Later Charles Richet experimented with hypnosis. 1791-1868 The professor at London University, John Elliotson supported the use of mesmerism and used the trance state to perform over 1,800 surgeries. Mr. Elliotson was also President of the Royal Medical and Surgical Society of London. 1795-1860 James Braid, a Scottish optician and physician investigated mesmerism. His findings were that he didn't think people were 'mesmerised'. Instead, he thought they appeared asleep. He renamed the trance state, 'hypnosis' taking from the Greek word 'Hypnos' which means 'to sleep', and this has prevailed ever since. 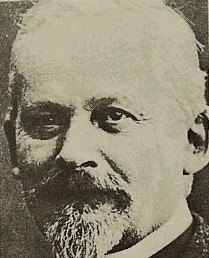 1845-1926 Émile Coué a Frenchman living in Paris created what he called 'autosuggestion', giving suggestions to the subconscious mind whilst in the trance state, and found it effective in conjunction with the trance state. He also discovered what we now call 'affirmations'. His most famous one is 'Every day, in every way, I am getting better and better'. This was not discovered by Louise Hay, as most modern practitioners tend to believe, although Mrs. Hay has made a significant contribution, in my opinion, to modern day psychology. 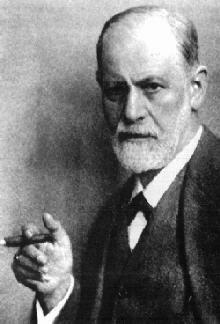 1883-1887 The father of psychoanalysis, Sigmund Freud was fascinated with hypnosis since it involved the subconscious mind. But he found it difficult to grasp in practice. My own personal guess is that he was far too stuck in an analytical mind set which limits expanding our consciousness. But what do we expect from the father of analysis! 1891 A very favourable report on the use of hypnosis in the medical field was issued by the British Medical Association. 1901-1980 Milton H. Erickson MD, the psychiatrist and psychotherapist became a pioneer in the practice of hypnosis. 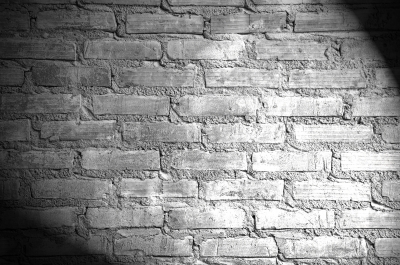 He is most noted for his use of metaphors, storytelling and his unconventional approach to psychotherapy. He was the founding president of the American Society for Clinical Hypnosis. He is a highly recognised author with many reference books on hypnosis. 1914 During World War 1, hypnosis became widely used due to the number of amnesia cases. 1925-1947 The United States sees the use of dental hypnosis. 1950 The American Medical Association and the British Medical Association supported the use of hypnosis and encouraged that it be acknowledged as another form of 'therapy'. 1962 The United States sees the first documented brain operation performed under hypnosis. 1973 In the UK, the National Council for Psychotherapists established The Hypnotherapy Register, which later became the National Council for Hypnotherapy. 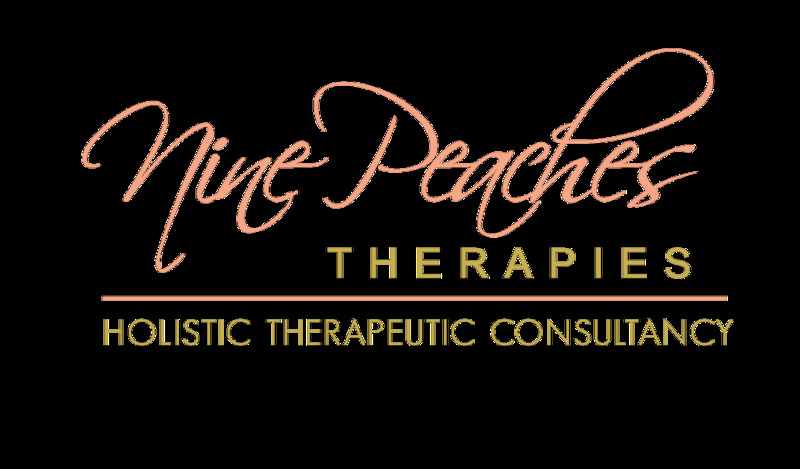 It is the first hypnotherapy register I joined upon establishing my private practice. 1977 The British Society of Experimental and Clinical Hypnosis was founded. It was exclusive to psychologists. 1979 The Institute of Hypnosis and Parapsychology (where I trained) was mentioned in the House of Commons. It was acknowledged as using a code of ethics and conduct. It also noted that all members adhered to the advertising standards authorities requirements. (This organisation no longer exists). 1984 The London College of Clinical Hypnosis (LCCH) and the British Society of Clinical Hypnotherapists were founded. (I have had some wonderful training at the LCCH). 1987 The formation of the British Society for the Practice of Hypnosis in Speech Therapy is formed. 1980 The Institute of Hypnosis and Parapsychology evolves into the Association of Stress Management. They no longer run, but off-shoots of them have formed throughout the UK. This is where I obtained my original hypno-analysis diploma, and my stress management diploma in Derbyshire. 1991 PSI Services plc, a commercial company offering stress management and hypnosis techniques was formed, offering employee assistance programmed to British commercial industry. 1992 The Royal College of Practitioners invites PSI Services to submit a paper on the use of hypnosis for lesser psychiatric disorders. The paper was published in the 1992 handbook for GP's. 1993 The New Scientist magazine publishes the results of the largest survey ever recorded of stopping smoking methods, covering several Continents. The results show that the use of Hypnosis was far more effective than any other method used. 2000 The General Hypnotherapy Register (GHR) is formed, of which I am presently a member. 2001 The General Hypnotherapy Standards Council is established and is responsible for overseeing the criteria for the ongoing Registration of individual Hypnotherapy practitioners within the GHR. 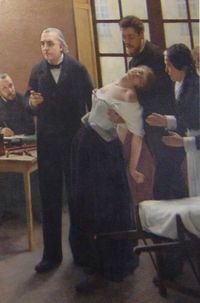 Jean Martin Charcot's favourite patient 'Blanche' in hypnosis. Franz Mesmer demonstrating the hypnotic trance. by Croft RJ, Williams JD, Haenschel C, Gruzelier JH. St Dunstan's Road, W68 RF, London, UK. A number of brain regions are associated with the subjective experience of pain. This study adds to our understanding of the neural mechanisms involved in pain by considering the relation between cortical oscillations in response to pain, with and without hypnosis and hypnotic analgesia, and the subjective experience of pain. Thirty-three subjects' neural responses (EEG) were measured during the 40-540 ms period following phasic electrical stimulations to the right hand, under control and hypnosis conditions. Resultant FFT amplitudes for frequencies ranging from 8 to 100 Hz were computed. These were grouped into 7 scalp topographies, and for each frequency, relations between these topographies and pain ratings, performance and stimulus intensity measures were assessed. Gamma activity (32-100 Hz) over prefrontal scalp sites predicted subject pain ratings in the control condition (r=0.50, P=0.004), and no other frequency/topography combination did. This relation was present in both high and low hypnotisable subjects and was independent of performance and stimulus intensity measures. This relation was unchanged by hypnosis in the low hypnotisable subjects but was not present in the highs during hypnosis, suggesting that hypnosis interferes with this pain/gamma relation. This study provides evidence for the role of gamma oscillations in the subjective experience of pain. Further, it is in keeping with the view that hypnosis involves the dissociation of prefrontal cortex from other neural functions. by Kleinhauz M, Eli I. The Maurice and Gabriela Goldschleger School of Dental Medicine, Tel Aviv University, Israel. Occasionally, a dental patient presents his/her dentist with a history of hypersensitivity to local anaesthetic agents. The symptoms may include immediate reactions to the injection procedure (dizziness, shortness of breath, tachycardia, etc. ), or delayed reactions to the anaesthetic (swelling, urticarial, etc). Although the true incidence of local anaesthetic allergy is low, such a history often involves the patient's anxiety regarding the use of the drug in question, and the dentist's apprehension to treat the "problematic" patient. In such cases, hypnosis can play a major role in controlling pain and the associated distress. In the present article, the method concerning the implementation of hypnosis to induce local anaesthesia is described and illustrated through case demonstrations. Picture credits: Department of Neurology, University of Illinois, Chicago; A Guide to Psychology & its Practice; Wikipedia; How to Practice Autosuggestion, Émile Coué (from my own collection).